Bites from different types of bugs often present similar symptoms. Some are painful, some leave distinguishing marks and others leave nearly no visible signs. While many are harmless, it can be helpful to determine which kind of bug you have encountered. You can usually deduce this by thinking carefully about several aspects of your bug bite, learning more about the natural world and your body in the process. Determine the size of the bites. Spider bites are largest, and on average are about the size of a dime. Mosquito bites are small, generally the size of your pinky fingernail. Fleabites are the size of the head of a pin. If you’ve been bitten by a tick, you won’t be able to locate a bite, but you will find a small black fleck that resembles a mole. Examine the appearance of the bites. Spider bites are often red bumps, though they can sometimes be white, and usually have a visible mark in the center, like a pinprick. Mosquito bites are pink bumps, although some people develop hard lumps about the size of a quarter, which is a sign of a mild allergic reaction. Flea bites are small pink bumps. Count how many bites you have and establish their location. If you’ve been bitten by a spider, you may have as many as 10 bites in a single region, as spiders usually bite as they walk over your skin while you sleep. These bites can be anywhere on your body, even beneath clothing. Mosquito bites usually occur a few at a time on exposed skin, such as the arms. Mosquitoes can even bite through thin fabric. Flea bites occur in great frequency on skin such as your legs, which is closer to the ground, pets and furniture, where fleas live. As for ticks, you’ll probably only pick up one at a time, most likely in a skin fold. Consider when you got the bite. Most spider bites occur while people sleep as spiders forage for water. 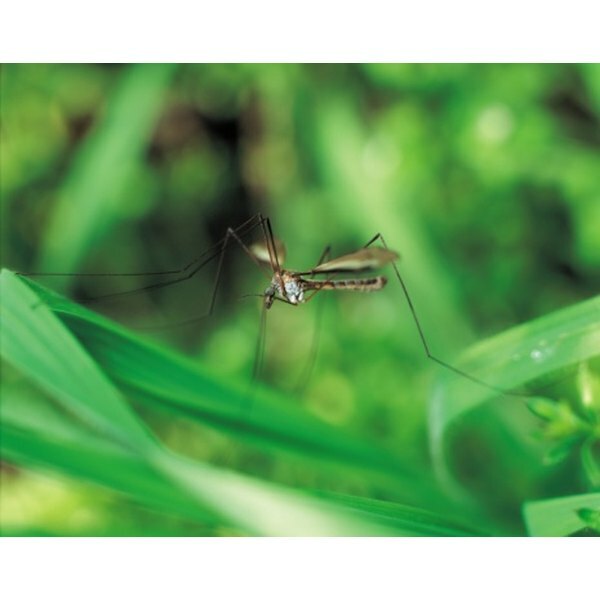 If you’ve spent a lot of time outdoors near bodies of stagnant water, you are likely to incur mosquito bites. Flea bites usually happen in homes with pets, in parks and at beaches. Ticks attach to your body when you walk through tall grass or spend time in a wooded area. Monitor the course of the bites. Spider bites become larger, redder and increasingly painful for several days before they begin to shrink. Mosquito bites will itch for a while and gradually disappear. Flea bites get increasingly itchy before they heal, and if your home is infested, you will notice recurrent bites. Ticks must be physically removed. You may have to hold a match up to the skin, not close enough to burn yourself, but close enough to heat the tick until it drops off. If you use tweezers to pull the tick out, make sure you grab it as close to its head as possible, so that the tick is removed whole. Most discomfort from bites can be treated with over-the-counter topical disinfectants and antihistamines. Avoid scratching bites to prevent infection, and keep your fingernails clean and trimmed. Keep your hands clean and wash bites with warm, soapy water. Apply a cold compress or a washcloth to stop itching and shrink inflammation. Most insect and arachnid bites are harmless. However, see your doctor if a bite becomes infected and you see no decrease in redness and puss after several days of careful hygiene. Also, see a doctor if you develop shakes or if you have been bitten on the ear, as cartilage is easily infected. Be careful about applying Neosporin to bites that have been scratched open; this may cause scarring. Some spider bites are dangerous. See your doctor if you are bitten by a brown recluse, which is a spider with a violin shape on its back. A brown recluse bite looks like a purple blister ringed in red. Without treatment your flesh will begin to ulcerate, leaving a infected hole in your skin. You must also see a doctor if bitten by a black widow spider. These spiders are about the size of a quarter, with a fat abdomen and a red hourglass shape on the stomach. They build unusually sticky webs. Rarely are these bites fatal. If you believe you have been bitten and begin developing severe flu-like symptoms, go to the hospital immediately. While most ticks are harmless, two types carry potentially deadly diseases Rocky Mountain Spotted Fever and Lyme Disease. If after spending time outdoors you develop flu like symptoms that do not run their course in a week, see your doctor, even if you cannot find a tick on your body.